Summer camp for kids: the quintessential element of growing up and learning outside of school walls. Anxiety builds as kids anticipate a week away from home: What if no one likes me? What if I don’t like the food? What if I hate it and I’m miserable the entire week? And the most excruciating scenario of all: What if my parents are the last ones to pick me up? Sad, these legitimate concerns that plague the mind of every child. But imagine you weren’t a normal kid and unicorns and rainbows were only for healthy kids. What if you were a child with cancer and instead of classrooms you went to chemo rooms? Instead of summer camp you went to, let’s call it treatment, camp? Just imagine. 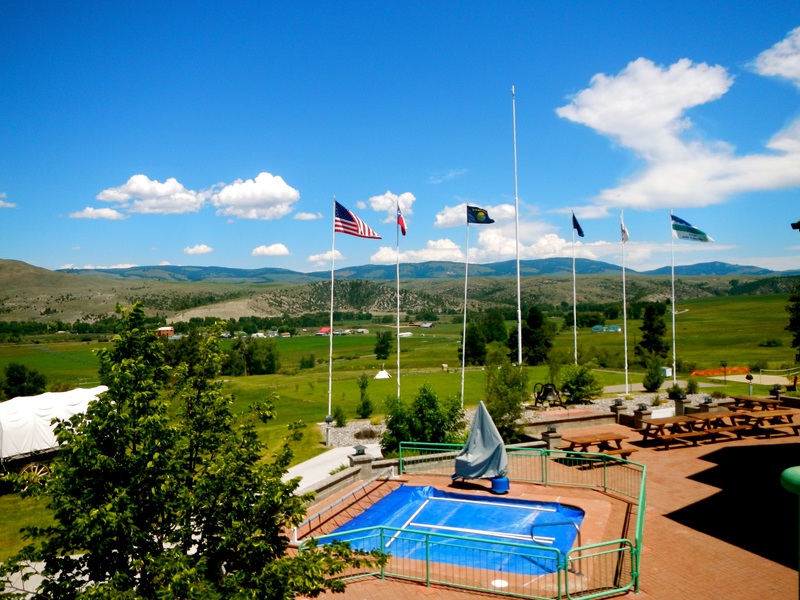 Montana boasts copious cool adventure camps but Camp-Mak-a-Dream wins for having a heart; a gorgeous 87 acre plot of land in Gold Creek, Montana that hosts cancer patients as an opportunity to explore and experience life away from cancer. The flags represent the states of each week’s participants. The only flag they’ve never flown is Hawaii. I was privileged to have a tour of this camp last week where I witnessed with great humility the beauty of its surroundings and its offerings. 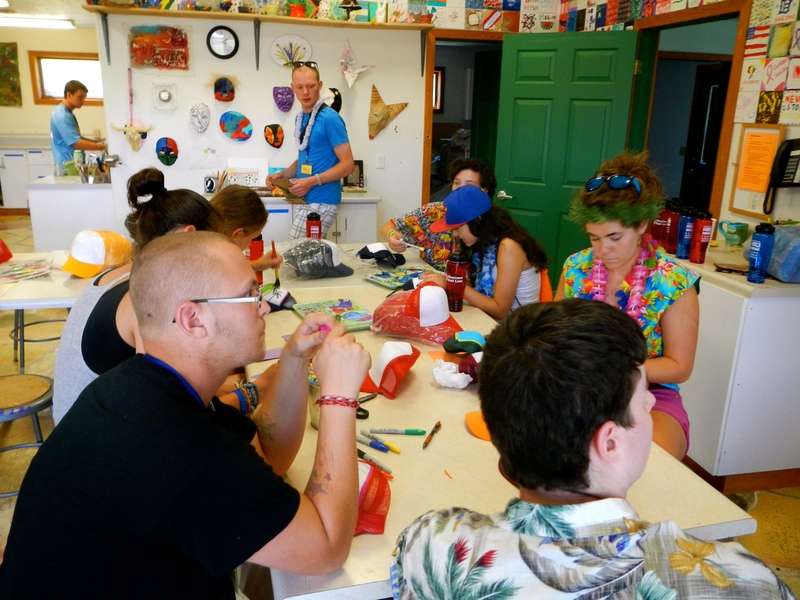 Camp-Mak-a-Dream is a nonprofit organization offering one week long camps for children, teens, young adults, and women with cancer, and an additional camp for siblings of cancer patients, all free of charge. How cool is that? Here, children with cancer can participate in camp as normal children, but with the necessary amenities they require. The on-site health clinic includes a full-time doctor, nurses, chemo rooms, environmentally controlled rooms, and in the event of an emergency, a heli-pad for safe and quick transportation to St. Patrick’s Hospital in nearby Missoula. The grounds contain well-maintained cabins, cafeteria, art studio, rec room, lounge, and library where kids are given lenient privileges to use as they choose. (Many may be too fatigued to engage in all the activities.) The success rate is high, the campers enjoy themselves tremendously. 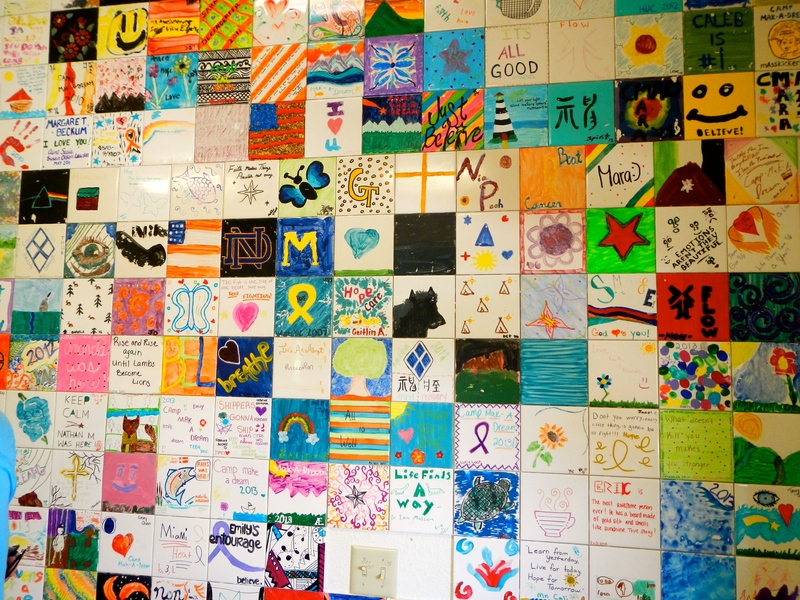 Every camper paints a tile. Look long enough and you will cry. However, back to reality. 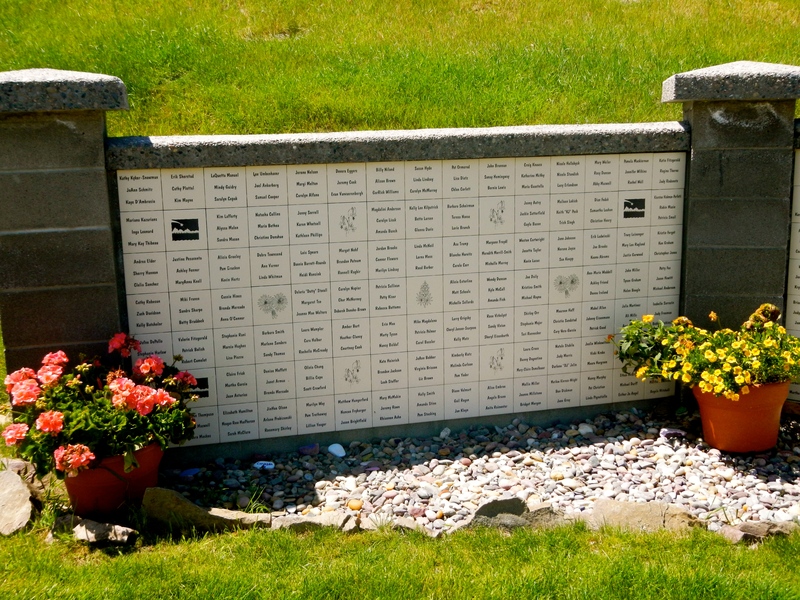 The Memorial Garden provides a space to honor previous attendees who have lost their battle with cancer, many of them women. Due to St. Jude’s continuing studies with children, the majority of the younger participants overcome their illness. A strong message is sent by the very high death rate among women with ovarian cancer. Scientific studies lack progress in this category, therefore successful medical treatments remain to be discovered. Camp-Mak-a-Dream holds a variety of fundraisers, including RATPOD, a singular event that raises more than 25% of their annual funds. RATPOD (Ride Around the Pintlers in One Day) is a bike ride around the scenic Pintler mountains, garnering at capacity participation every year. This camp spoke to my heart. I hope spreading the word will educate others of its existence and that you will share this with someone you love or with someone in need.